The 2¾ h.p. Wooler all-chain model, fitted with 60.5 x 60 mm. 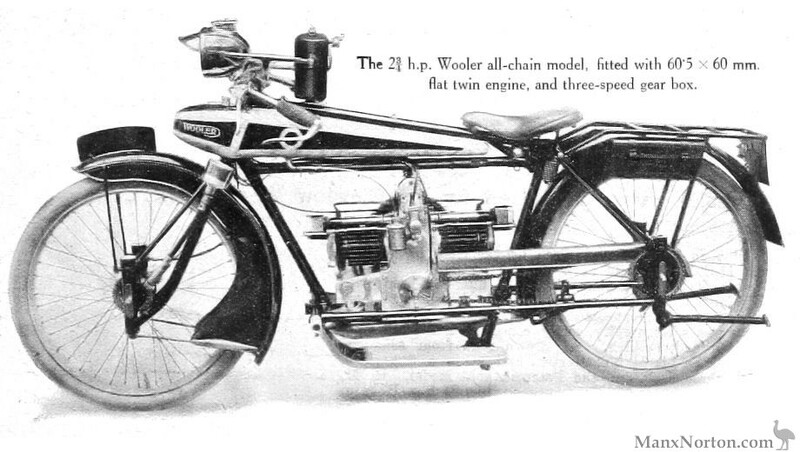 flat twin engine, and three-speed gear box.